fs6DOFware for Flight Simulator. 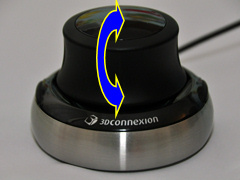 Use a 3D mouse in Flight Simulator to control eye point movement quickly! fs6DOFware is a software letting to use 3DConnexion 3D mice in Flight Simulator, to add full 6DOF eye movement, improving flight experience, as you can freely rotate and translate your head to see, left and right, or up and down, using only one control and without have to remember tricky keys on your keyboard or buttons on your joystick. Use a 3D mouse in Flight Simulator to rotate and translate the eye point instantly and in a very natural way. This package is the software only and does NOT include the 3D mouse. 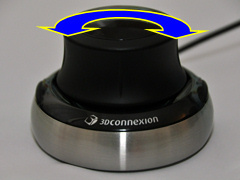 To buy a 3Dconnexion device, please visit http://www.3dconnexion.com/ (fs6DOFware has been currently tested with 3Dconnexion SpacePilot Pro, SpacePilot, SpaceNavigator, SpaceExplorer 3D mice models). Works in trial mode for 10 minutes per flight session. 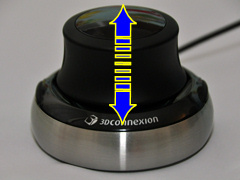 SpaceNavigator 3D mouse model is shown on the pictures. 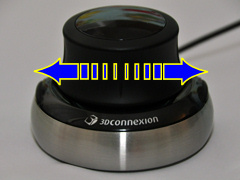 In addition to single computers, fs6DOFware can be used also on a LAN onto a "WidevieW" system, just connect the 3D mouse on the server PC. When a 3Dconnexion mouse is used in conjunction with fs6DOFware and with WidevieW, the views on the clients can be adjusted simultaneously throughout the cockpit, without losing the view alignment. 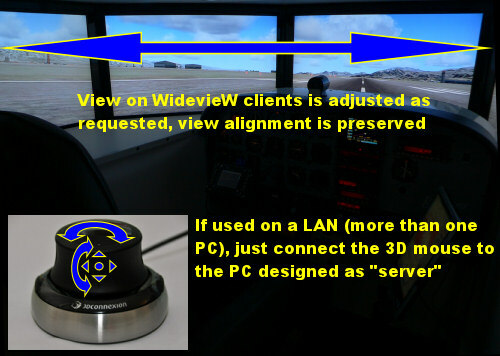 IMPORTANT: if you are using multiple video outputs on the same computer (not in a “WidevieW” system), please be aware that due to limitation of Flight Simulator camera, only the primary view (view00) can be rotated by fs6DOFware software.  Easy to install, ready to use in minutes! Flight Simulator, Microsoft ESP, 3Dconnexion, all logos and trademarks in this site are property of their respective owners.